Temporary tattoos, once reserved mostly for tweens, are making a comeback and this time as a fashion statement. 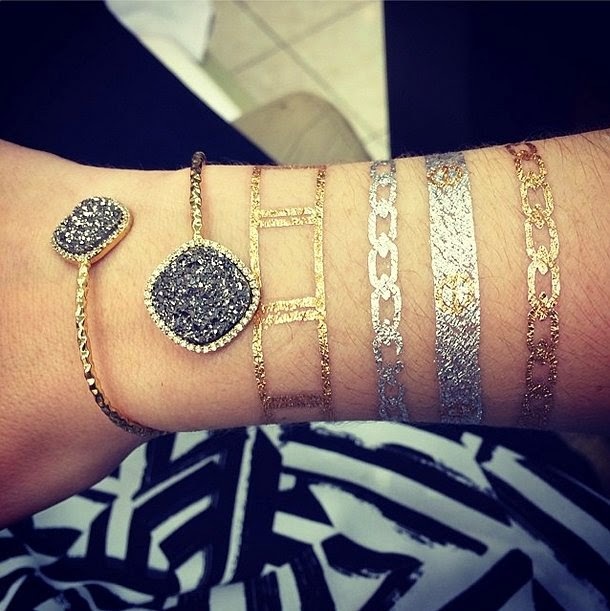 These metallic adornments have been seen pasted on celebrities and taking over social media so here are ways to wear flash tattoos to spice up your summer or for special occasions. First up, above we have the impression of upper arm bangles. Mixing both silver and gold, this look compliments her real jewellery. It's quite conserved will just the basic round dots but still makes a creative statement. 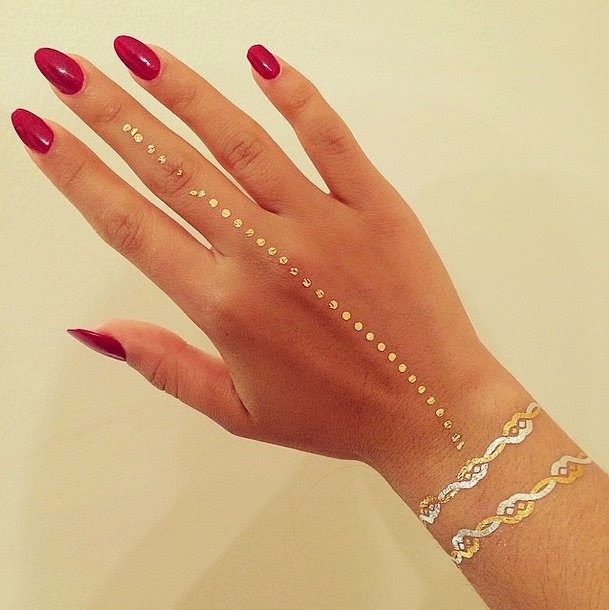 If you're looking for more of a subtle way to wear flash tattoos then this is perfect. The gold salt, sand, sun temporary is a beautiful addition to any summer dress with flip flops or for a day at the beach. Since it's a design you could imagine would be a real tattoo, this one is a great way of temporarily adventuring. Again mixing gold and silver but this time with a selection of arm bangles, saving you from all the clanging wearing this many bracelets usually generates. Paired with one real bangle, this look is beautiful and chic. 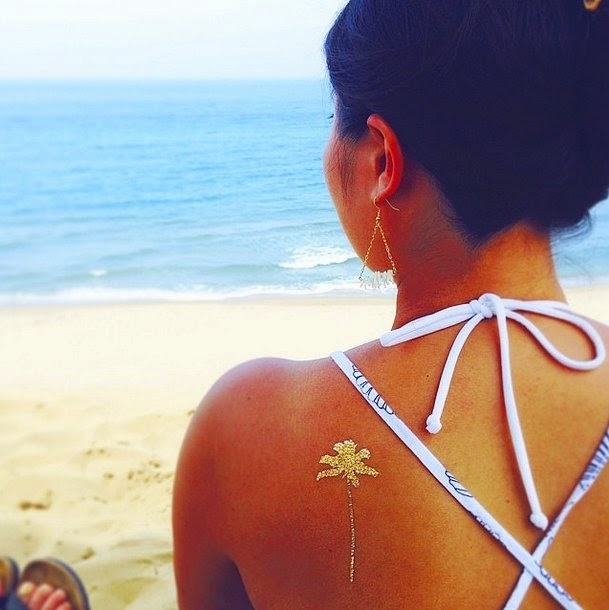 A real back tattoo sometimes isn't practical but with flash tattoos you're able to try out a design you've always wanted. A gold palm tree on the back screams Summer and holidays, I know which one I'm going for when I go to Hamilton Island soon! A typical real tattoo made way cooler since this one is gold. Warning: You may be tempted to actually get this one done. Having a cute word on your wrist that you catch at the corner of your eye throughout the day is great. 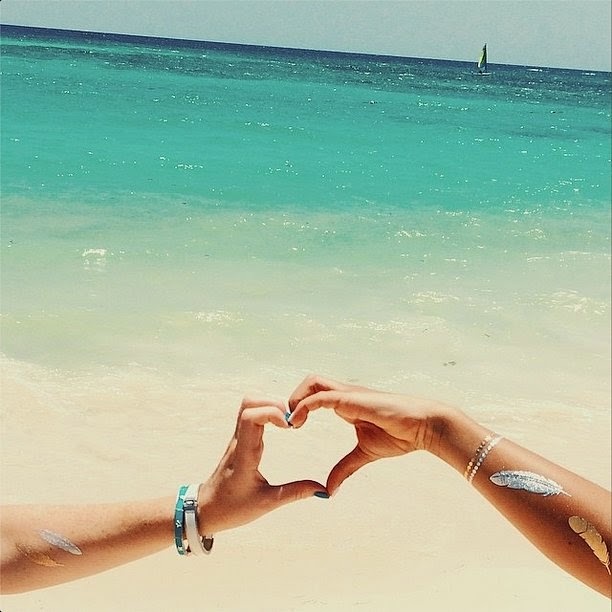 Feathers have been a popular design choice with flash tattoos and with good reason, they look amazing! These ones glisten in the sun with two different designs in both gold and silver. Also sporting a stunning Hermes clic-clac. 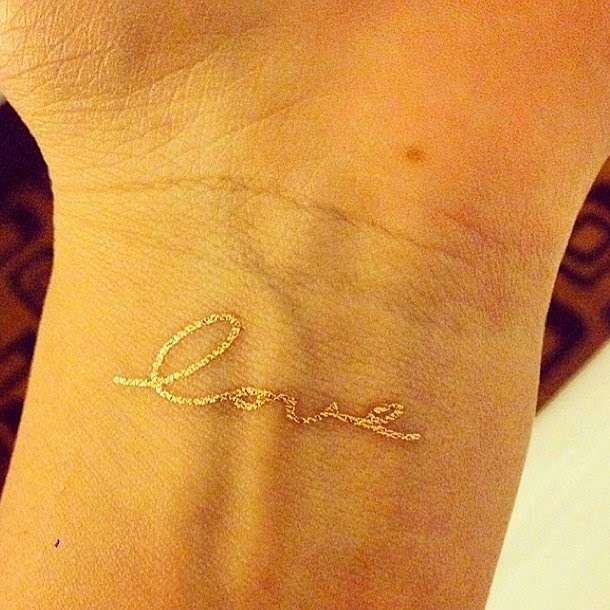 Let's face it, finger chains can get annoying...so problem solved with this flash tattoo. A decorative and fun design. These are just some of my favourite ways that I have seen flash tattoos worn but overall I think it's such a unique and creative trend that I can't wait to see more of. I hope that this post provided you with some inspiration if you have been thinking of giving this fashion statement a go.